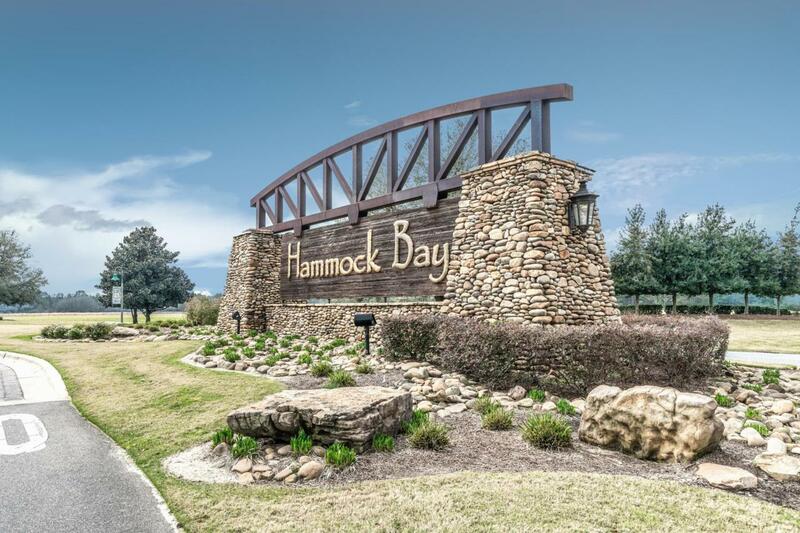 Lakefront home in Hammock Bay, with 4 large bedrooms, 3 Full bathrooms and a half bath for visitors! 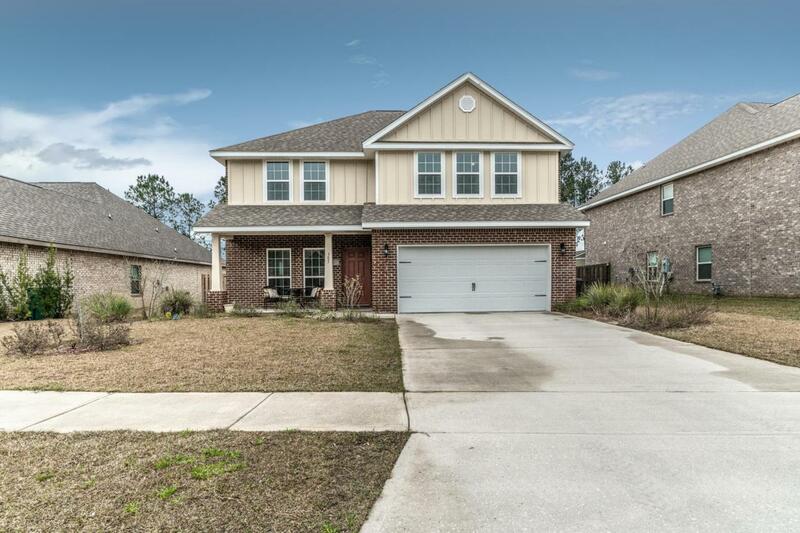 This home has such a fabulous floor plan with a large open kitchen with granite counters, stainless appliances and wood like tile flooring. The covered back patio enjoys views of the lake which you can see through the small metal rear fencing and the side fencing is private allowing for ultimate privacy but yet still relaxing and inviting. The master bedroom is downstairs and has ample room for large furniture and access to the rear yard. The master bath has a large walk in shower, soaking tub and double vanity. 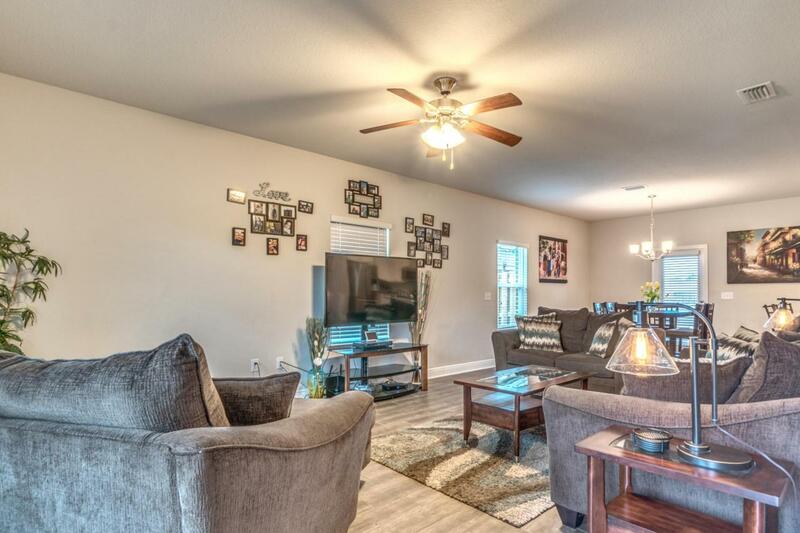 Upstairs are 3 bedrooms AND a HUGE bonus room! 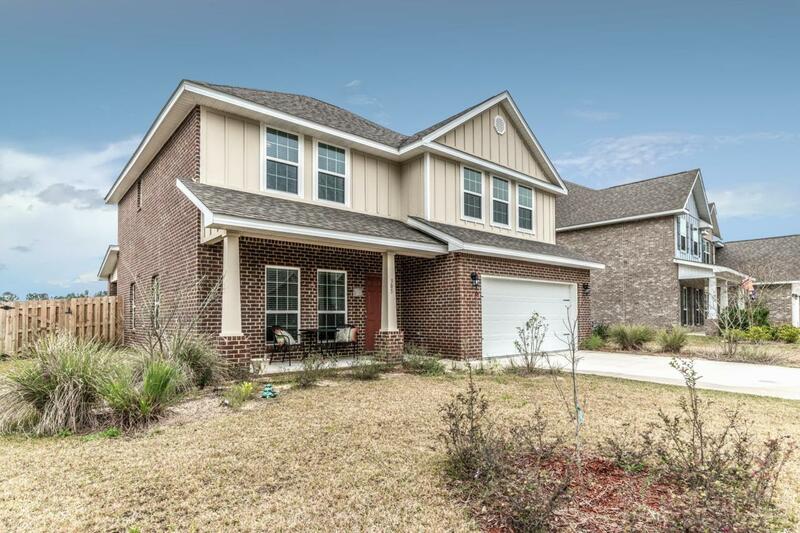 Between 2 of the bedrooms is a jack and jill bathroom and the 3rd bedroom has its own private full bath.The entire home has ample storage throughout, in the bonus room there is a large closet with the HVAC and still room to store additional items. Each bathroom has a linen closet, and all bedrooms have walk in closets which are fantastic for additional storage!